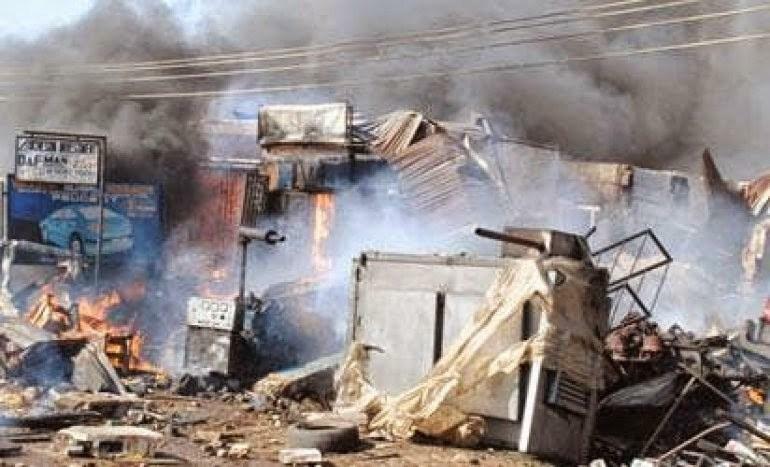 two explosions went off at a crowded market in Biu town of Borno state, witnesses and police said. A witness, Muhammed Labera, who spoke to reporter on phone from Biu said the attacks were carried out by two teenage female suicide bombers who launched attacks at different sections of the market. “The attacks occurred in two different places in Biu town market. One occurred near the GSM stalls, then another at at the place where chickens are sold,” said Mr. Labera. The source said he counted up to 22 injured persons at the hospital even as more were still being taken to the hospital at the time he was speaking with our reporter. He said 15 persons died in the blast alongside the two suicide bombers. The Borno state police command has confirmed the incident quoting 13 dead and 53 injured. The spokesman for the police in Borno state, Victor Isukwu, said the incident occurred at about 11:40 a.m.
“Today 2/2/2017 at about 1140hrs, two female suicide bombers infiltrated and gained entry into Biu town in Biu LGA”, a statement he sent out via WhatsApp reads. “One of the bombers detonated IED strapped on her body within Biu Main market, while d other one detonated outside d market square. So far, a total of 13 persons excluding the two suicide bombers, have been confirmed killed in the two explosions. Biu is one of the major towns of Borno state that has managed to suffer less Boko Haram attacks. It is also one of the towns that was not taken or sacked by the insurgents since 2009 when the Boko Haram war started. But the town has experienced suicide bomb attacks mainly in its market. The last such attack took place was about two years ago.